ACME Portable Machine, Inc. was founded in 1994, and is an industry leader in the rugged portable computer market. 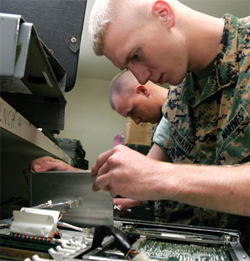 In 2013, ACME Mil System was created to support the needs of the US Military and Prime Contractors with mil-std ruggedized portable computing and display solutions. 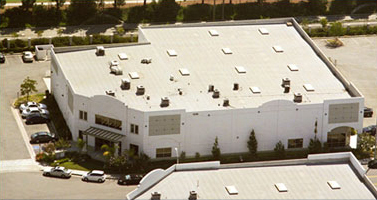 With headquarters in Los Angeles, California and branches in Europe and Asia, our mission is to design and manufacture high performance, compact, reliable, and rugged portable computer platforms. ACME Mil System is a dba of ACME Portable Machines. ACME Mil System is focused on the three platforms for vital military applications: C4ISR (Command, Control, Communications, Computers, Intelligence, Surveillance and Reconnaissance), TM (test and measurement), and Virtual Training Applications. These portable workstations will be integrated with Mil-Spec standards to allow for harsh and mobile applications. ACME products are designed, tested and manufactured to MILSPECs, IEC & NEMA standards in our ISO-9001 certified facilities. Products are developed on 3D solid modeling systems optimized for direct interface with our manufacturing systems that allows rapid prototyping and manufacturing of customer specific special components. Systems are assembled, tested and verified in accordance with our ISO-9001 certification. Our products are marketed through a nationwide network of manufacturer’s representatives to a broad range of government, military and corporate industrial users. The US staff and support group has over 100 years of collective experience in military and industrial systems and their life cycle support.